Citroen are a French automaker now owned by PSA Peugeot Citroen who have been manufacturing cars since 1919 starting with the release of their A Type. By 1920 they had successfully sold over 10,000 A Types and began to take their place in the motor industry as a major player. At the Paris Motor Show in 1955, the newly unveiled Citroen DS made 750 sales in 45 minutes and a whopping 80,000 sales by the end of the show. Now the biggest of the European car manufacturers, the company has always been known for the innovations they bring to the motoring world, with such ideas as the floating engine concept, where rubber mounts are placed between the engine and chassis to reduce engine vibrations. They also brought us the electronic/hydraulic “hydractive” suspension system. In 1921 they created a series of enamel road signs to help the French public find their way around the roads and Citroen’s first fully electric prototype was around as early as 1992, showing just how ahead of the curve they were. Top Gear Magazine recently awarded Citroen’s new C4 Cactus with their “Hatchback of the Year 2014” award which is a good testament to the quality of the French firms production. Innovation, passion and drive are what Citroen strive for. As a Citroen owner, make sure you protect yourself with a Citroen car warranty from Warrantywise. We guarantee not to be beaten on price and cover for any Citroen car warranty. The Citroën Berlingo is a unique looking, spacious and practical family MPV that comes at an affordable price. Citroën took a lot of time to make the Berlingo a good drive, and this is evident with the finished product. Available in car and van format, the Berlingo is a very versatile motor. The Citroën C1 is a tiny yet stylish city car with bright eyes and fantastic fuel economy. Modern looks and a bit of attitude make the C1 a great choice if you are looking for a stylish small car. The Citroën C2 is possibly THE perfect first car for young drivers. Fun to drive, easy on fuel and surprisingly nippy, the C2 is a common sight on our roads today and likely will be for some time. The Citroën C3 is another of Citroën’s stylish super mini’s and offers good fuel economy, ride comfort and refinement. A lot of effort went into the C3 to offer superior comfort to other cars of this size. The Citroën C4 is a fantastic looking hatchback that delivers a certain air of class and sophistication to the family hatchback car. Decent power and fuel economy are a bonus and the interior is practical and spacious. The Citroën C5 is a highly refined and smartly dressed saloon designed to get you from A to B in comfort. The C5 really does look great and gives a certain air of sophistication as it quietly glides past. The Citroën C-Crosser is a compact SUV that strives to impress with its fashionable styling and crisp, clean interior. Space is abundant inside and the C-Crosser is very good to drive with responsive handling. The Citroën Dispatch is a mid sized motor that offers all the comforts and ride quality of a car with all the versatility and haulage potential you expect from a van. Available in a range of wheelbases, the Dispatch is a good van choice. 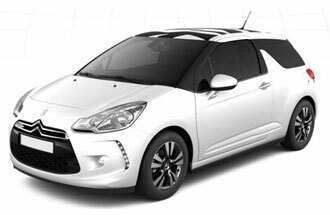 The Citroën DS3 is a fantastic super mini that looks futuristic and trendy and drives like a hot hatch. If your looking for a classy and stylish car that will impress your friends and family, the DS3 is perfect. The Citroën DS4 is another premium hatch back with elegance, style and class all built in. Offering a spacious interior, high driving position and a tall windscreen, the DS4 will make you feel as though your in charge. The Citroën Grand Picasso is perhaps the ultimate family car. Their are seven entirely folding seats in this MPV and interior space is absolutely cavernous. The Interior styling is posh and fuel economy is brilliant too with free road tax and some engines delivering over 70MPG. The Citroën Nemo is another of Citroën’s compact vans offering larger load space than most vans of this size. Fuel economy and ride quality are both akin to a small car and the styling is also modern yet modest. The Citroën Relay is a large panel van that comes in various heights and lengths and packed with lots of kit. For example, drivers can can utilise the sat-nav and stolen vehicle functions in every Nemo. Very large load spaces and practical space saving inside mean this is one of the best haulage vans on the market.